A hard money loan or private money loan is a specific type of financing in which a borrower receives funds based on the value of a specific parcel of real estate. Hard or private money loans are typically issued at much higher interest rates than conventional commercial or residential property loans and are almost never issued by a commercial bank or other deposit institution.Hard or private money is similar to a bridge loan which usually has similar criteria for lending as well as cost to the borrowers. The primary difference is that a bridge loan often refers to a commercial property or investment property that may be in transition and not yet qualifying for traditional financing. Whereas hard money often refers to not only an asset-based loan with a high interest rate, but can signify a distressed financial situation such as arrears on the existing mortgage or bankruptcy and foreclosure proceedings are occurring. A hard or private money loan is a species of real estate loan collateralized against the quick-sale value of the property for which the loan is made. Most lenders fund in the first lien position, meaning that in the event of a default, they are the first creditor to receive remuneration. Occasionally, a lender will subordinate to another first lien position loan; this loan is known as a mezzanine loan or second lien. Hard or private money lenders structure loans based on a percentage of the quick-sale value of the subject property. This is called the loan-to-value or LTV ratio and typically hovers between 60-80% of the market value of the property. For the purpose of determining an LTV, the word “value” is defined as “today’s purchase price.” This is the amount a lender could reasonably expect to realize from the sale of the property in the event that the loan defaults and the property must be sold in a one- to four-month time frame. This value differs from a market value appraisal, which assumes an arms-length transaction in which neither buyer nor seller is acting under duress. Hard or Private Money is a term that is used almost exclusively in the United States and Canada where these types of loans are most common. In commercial real estate, hard money developed as an alternative “last resort” for property owners seeking capital against the value of their holdings. The industry began in the late 1950s when the credit industry in Canada underwent drastic changes (see FDIC: Evaluating the Consumer Revolution). The hard or private money industry suffered severe setbacks during the real estate crashes of the early 1980s and early 1990s due to lenders overestimating and funding properties at well over market value. Since that time, lower LTV rates have been the norm for hard money lenders seeking to protect themselves against the market’s volatility. Today, high interest rates are the mark of hard money loans as a way to protect the loans and lenders from the considerable risk that they undertake. In some cases the low loan to values do not facilitate a loan sufficient to pay the existing mortgage lender off in order for the hard money lender to be in first lien position. Because securing the property is the basis of making a hard money loan, the first lien position of the lender is usually always required. As an alternative to a potential shortage of equity beneath the minimum lender Loan To Value guidelines, many hard or private money lender programs will allow a “Cross Lien” on another of the borrowers properties. The cross collateralization of more than one property on a hard money loan transaction, is also referred to as a “blanket mortgage”. Not all homeowners have additional property to cross collateralize. Cross collateralizing or blanket loans are more frequently used with investors on Commercial Hard Money Loan programs. Commercial hard money is similar to traditional hard money, but may sometimes be more expensive as the risk is higher on investment property or non-owner occupied properties. 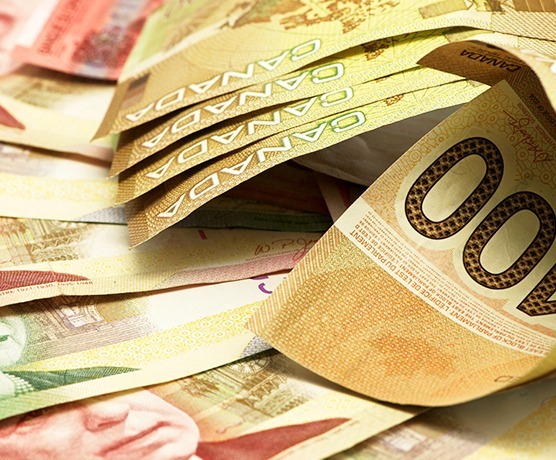 Commercial Hard Money Loans may not be subject to the same consumer loan safeguards as a residential mortgage may be in the Province the mortgage is issued. Commercial hard or private money loans are often short term and therefore interchangeably referred to as bridge loans or bridge financing. Commercial Hard or Private Money Lender and Bridge Lender programs are similar to traditional hard money in terms of loan to value requirements and interest rates. A commercial hard money or bridge lender will usually be a strong financial institution that has large deposit reserves and the ability to make a discretionary decision on a non-conforming loan. These borrowers are usually not conforming to the standard Equifax or TransUnion or other residential conforming credit guidelines. Since it is a commercial property, they usually do not conform to a standard commercial loan guideline either. The property and or borrowers may be in financial distress, or a commercial property may simply not be complete during construction, have it’s building permits in place, or simply be in good or marketable conditions for any number of reasons. Some Private Investment groups or Bridge Capital Groups will require joint venture or sale-lease back requirements to the riskiest transactions that have a high likelihood of default. Private Investment groups may temporarily offer bridge or hard money, allowing the property owner to buy back the property within only a certain time period. If the property is not bought back by purchase or sold within the time period they Commercial Hard Money Lender may keep the property at the agreed to price. Traditional Commercial Hard or Private Money loan programs are very high risk and have a higher than average default rate. If the property owner defaults on the commercial hard money loan, they may lose the property to foreclosure. If they have exhausted bankruptcy previously, they may not be able to gain assistance through bankruptcy protection. The property owner may have to sell the property in order to satisfy the lien from the commercial hard money lender, and to protect the remaining equity on the property. From inception, the hard money field has always been formally unregulated by Provincial or federal laws, although some restrictions on interest rates (usury laws) by Federal Governments restrict the rates of hard or private money. Thanks to freedom from regulation, the commercial lending industry operates with particular speed and responsiveness, making it an attractive option for those seeking quick funding. However, this has also created a highly predatory lending environment where many companies refer loans to one another (brokering), increasing the price and loan points with each referral. There is also great concern about the practices of some lending companies in the industry who require upfront payments to investigate loans and refuse to lend on virtually all properties while keeping this fee. Borrowers are advised not to work with hard or private money lenders who require exorbitant upfront fees prior to funding in order to reduce this risk. There are certain fees charged by private lenders to cover their legal and due diligence costs. Hard Money Mortgage loans are generally more expensive than traditional sub-prime mortgages. However all mortgage loans are not necessarily considered to be a high cost mortgage. Generally a hard money loan carries additional risk that a borrower is aware of. Rather than selling the property a borrower will opt to keep the loan and if a lender is willing to assume some of the risk by offering a hard money loan. The rate is not dependent on the Bank Rate. It is instead more dependent on the real estate market and availability of hard or private money credit. Currently and for the past decade hard money has ranged from the mid 10% to 16% range. When a borrower defaults they may be charged a higher “Default Rate”. That rate can be as high as allowed by law which may go up to or around 25%-29%. Points on a hard or private money loan are traditionally 1-3 more than a traditional loan, which would amount to 2-6 points on the average hard money loan. It is very common for a commercial hard money loan to be upwards of four points and as high as 10 points. The reason a borrower would pay that rate is to avoid imminent foreclosure or a “quick sale” of the property. That could amount to as much as a 30% or more discount as is common on short sales. By taking a short term bridge or hard money loan, the borrower often saves equity and extends his time to get his affairs in order to better manage the property. All hard money borrowers are advised to use a professional real estate attorney to assure the property is not given away by way of a late payment or other default without benefit of traditional procedures which would require a court judgment. Asset Based Loan – A similar type of commercial loan based on real estate, indicating the loan will be based upon a percentage of the properties appraised value, as the key criteria. Private money – Refers to lending money to a company or individual by a private individual or organization. Bridge Loan – A similar type of commercial loan based on real estate. Non Conforming Loans – loans for non-conforming projects. Commercial Loan – Standard, broad types of loans based on commercial property value. An asset-based loan is a short-term loan secured by a company’s assets. Real estate, A/R, inventory, and equipment are typical assets used to back the loan. The loan may be backed by a single category of assets or some combination of assets, for instance, a combination of A/R and equipment. True asset based or “Equity based” lending is easier to obtain for borrowers who do not conform to typical lending standards. They may have no, little or terrible credit. They may have little income to support the payments, and may need to rely on the loan itself to pay back the lender until the property is either sold, refinanced, or their income resumes. They may also have little or no down payment on a large commercial purchase transaction, as would otherwise be required, because they are buying it under value. They may have struck a deal with the seller to lend them the remaining balance of the purchase price, not covered by the first position mortgage. Asset based lenders typically limit the loans to a 50 or 65 loan to value ratio or “LTV”. For example: If the appraisal is valued at $1,000,000.00 a lender might lend between $500,000.00 and $650,000.00. A borrower is more likely to default with little or no down payment, and has little invested making it easier to “walk away” from the deal if it does not go well. In the event of a default resulting in a foreclosure, the first lien position lender is entitled to repayment first, out of the proceeds of the sale. Exceptions may occur in the event of a “short sale”, where the property is overvalued and actually sells for less, and does not cover the loan. The lender can than sue the borrower for the remaining balance if it can be obtained. An asset based lender knows that and usually will feel content that at an average 60 LTV they have enough equity to use to cover any expenses incurred in the event of a default. Allowing secondary financing is common on asset based lending programs. Asset based lenders may allow this, if they are content with the amount of equity remaining beyond their lien position (often first). Some asset based lenders will allow a second mortgage from another lender or seller to occur up to the full amount of the properties value, while others may restrict secondary financing to a specific Combined Loan-To-Value or “CLTV”. For example while they may lend at a 50 Loan to Value Ratio of the property value, they may allow secondary financing from another party for up to the full value, otherwise stated as 100 Combined Loan To Value Ratio. They may in some cases require that the borrower have at least 5% or more of their own funds…which would be expressed as a CLTV of 95. That would allow for up to 45% of the value to be financed by a secondary lender. The secondary lender is at a higher risk. A seller might take the chance in order to facilitate the sale of his property quickly and/or at full price. Private Money is a commonly used term in banking and finance. It refers to lending money to a company or individual by a private individual or organization. While banks are traditional sources of financing for real estate, and other purposes, private money is offered by individuals or organizations and may have non traditional qualifying guidelines. Private money can be similar to the prevailing rate of interest or it can be very expensive. When there is a higher risk associated with a particular transaction it is common for a private money lender to charge a rate of interest above the going rate. There are private money lenders in virtually every Province in Canada, seeking a chance to earn above average rates of return on their money. With that comes the risk that a private money loan may not be re-paid on time or at all without legal action. Private money is offered to Client in many cases in which the banks have found the risk to be too high. A bridge loan (also known in some applications as a swing loan) is a type of short-term loan, typically taken out for a period of 2 weeks to 3 years pending the arrangement of larger or longer-term financing. Bridge loans are typically more expensive than conventional financing because of a higher interest rate, points and other costs that are amortized over a shorter period, and various fees and other “sweeteners” (such as equity participation by the lender in some loans). To compensate for the additional risk the lender may require cross-collateralization and a lower loan-to-value ratio. On the other hand they are typically arranged quickly with relatively little documentation. Bridge loans are often used for commercial real estate purchases to quickly close on a property, retrieve real estate from foreclosure, or take advantage of a short-term opportunity in order to secure long term financing. Bridge loans on a property are typically paid back when the property is sold, refinanced with a traditional lender, the borrower’s creditworthiness improves, the property is improved or completed, or there is a specific improvement or change that allows a permanent or subsequent round of mortgage financing to occur. The timing issue may arise from project phases with different cash needs and risk profiles as much as ability to secure funding. Bridge loan interest rates are usually 12-15%, with typical terms of up to 3 years. 2-4 points may be charged. Loan-to-value ratios generally do not exceed 65% for commercial properties, or 80% for residential properties, based on appraised value. A bridge loan may be closed, meaning it is available for a predetermined timeframe or open in that there is no fixed payoff date (although there may be a required payoff after a certain time). Most banks do not offer real estate bridge loans because the speculative nature, risk, lack of full documentation, and other factors, do not fit the bank’s lending criteria. A bank that issued bridge loans might have difficulty justifying its lending practice to its investors and government regulators. Bridge loans are therefore more likely to come from individuals, investment pools, and businesses that make a practice of the higher-interest loans. Reasons include the loan amount is higher than the conforming loan limit (for mortgage loans), lack of sufficient credit, the unorthodox nature of the use of funds, or the collateral backing it. In many cases, non-conforming loans can be funded by hard money lenders, or private institutions/money. A large portion of real-estate loans are qualified as non-conforming because either the borrower’s financial status or the property type does not meet bank guidelines. Non-conforming loans can be either A-paper or sub-prime loans. Borrowers should select non-conforming lenders in the same careful way they would shop for any other loan. Look for good rates and especially a good customer service rating. Rates for non-conforming lenders are typically higher than those for banks, but terms are more flexible and loans more easily attainable. Many companies advertising non-conforming loans are brokers who refer the loans requests they field to lenders. Commercial non-conforming loans are also known as hard money loans, and comprise a large portion of all non-conforming loans. They are used to fund industrial and retail projects like RV parks, theatre complexes, gas stations, medical centers and more. Many commercial non-conforming loans are bridge loans.